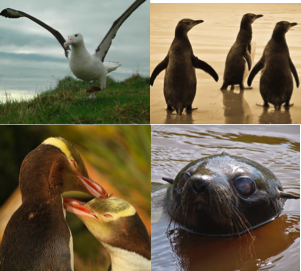 The Otago Peninsula is a perfect eco-tourism travel destination and has enabled Dunedin to be called "The Wildlife Capital of NZ". Unlike us; the seals, yellow-eyed penguins, little blue penguins, fur seals and sealions enjoy a good cold day. An albatross requires wind for lift off. Don't let that put you off...there are lots of spectacular clear sunny days too! 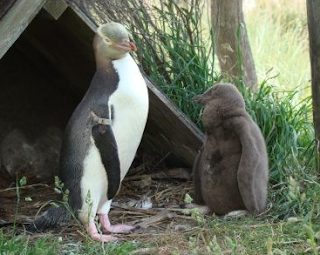 One resident, not connected with wildlife, but firmly connected to the history of the Peninsula undertook a massive challenge. Had Margaret Barker not driven up to Larnach Castle in a combi van in the 1960's, and saw it was for sale it may not be here today. Rumour has it another bidder had plans to pull it down. 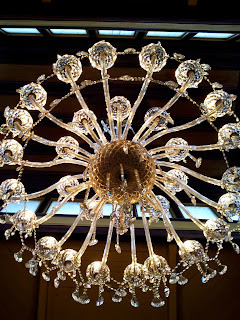 Margaret and her family have over the years transformed the rundown mansion into one of NZ's top tourist attractions. I love to visit the castle for its garden; recognised as a "Garden of International Significance". It's a great credit to the vision and years of work by Margaret and the green fingers of her head gardener Fiona Eadie. 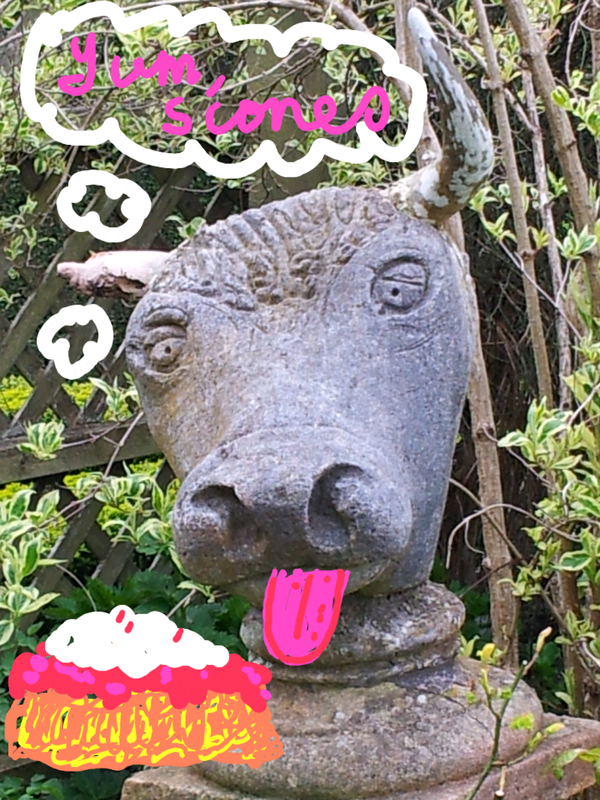 I am a fan of Fiona's garden philosophy. I first heard her in an interview on Radio NZ National . 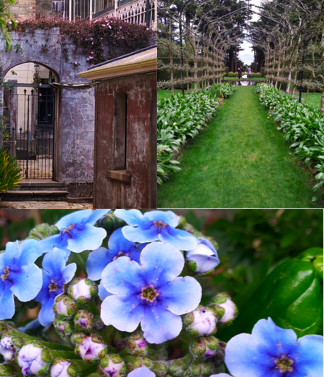 Stay all day for a garden entry price of $12.50, and if you visit Dunedin regularly it pays to purchase a Garden Pass for $20 per anum so that you can enjoy the garden's stunning seasonal changes. It's not often you get to sit in an elegant ballroom beside a warming open fire, beneath a massive chandelier, while sipping tea and eating scones with jam and cream... you can at Larnach Castle. 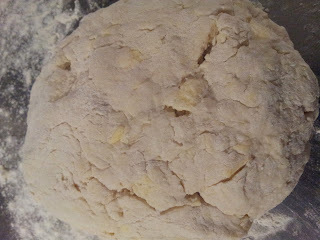 Until you get the opportunity to come south...why don't you try your hand at making scones for friends and family? 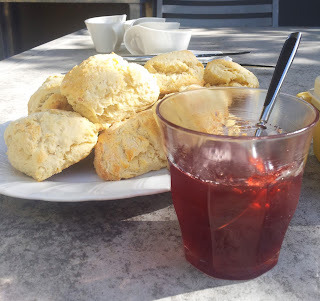 My first memories of scones was Mum filling a giant basket of halved scones topped with homemade raspberry jam to take down to the woolshed for the shearers 10 o'clock smoko. 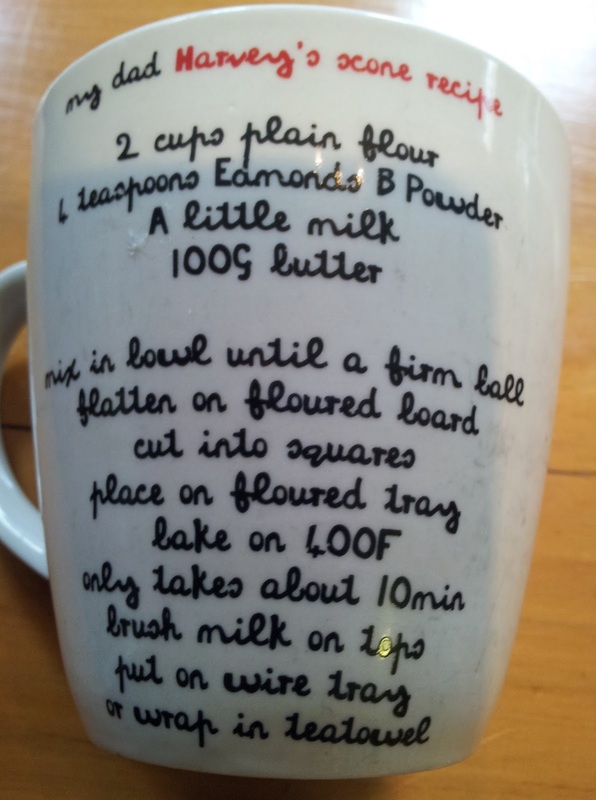 I have heard baristas need to make 1000 coffees before they make the perfect cup. It doesn't take that long to make the perfect scone but it does take practice and just like making coffee there are some tricks to the ancient art of scone making. 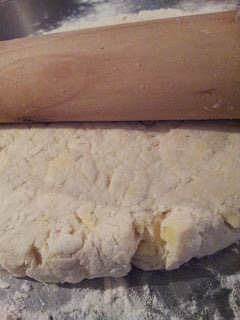 First secret - make sure the butter is cold as you do with pastry. Chop into small cubes. 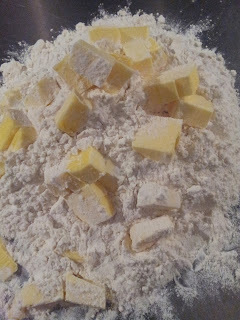 If time is short then you can cheat by using a food processor to mix butter and flour, but to get the best melt in the mouth scones mix the ingredients by hand. The same rule applies to pastry. The result is that you end up with tiny butter pieces in the dough, which melt during cooking to create a special lightness. Scoop up the butter and flour mix, put into a bowl, add the baking powder - mix in well (by hand). 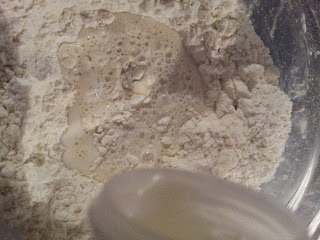 Next add the milk. 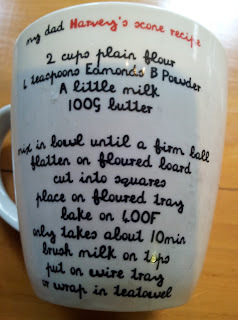 Start with 1/2 a cup of milk and add more as you need it. It's no good giving exact measurement for milk as it will depend on the flour as to how much liquid is needed to make a dough. Sprinkle flour onto your bench or large board. 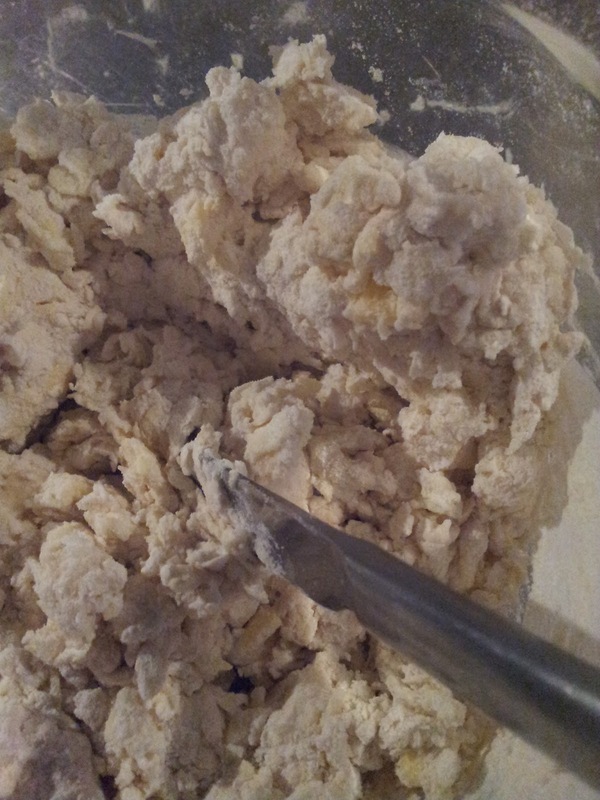 Turn out the dough. 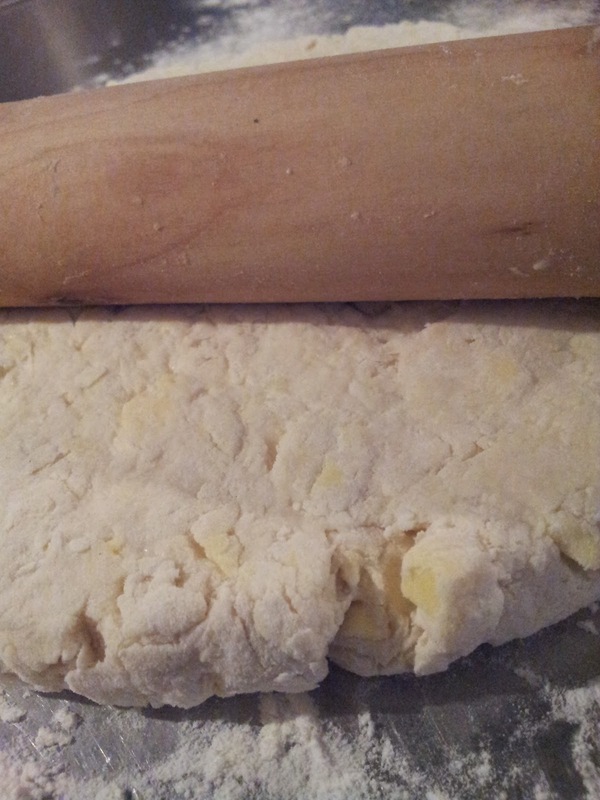 It should be damper than you would prepare for pastry. 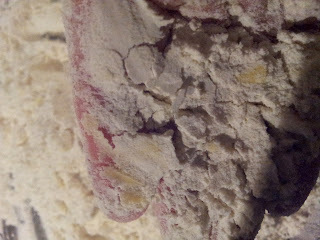 It doesn't matter if it's rather sticky as you can roll it in flour to make it easier to handle. 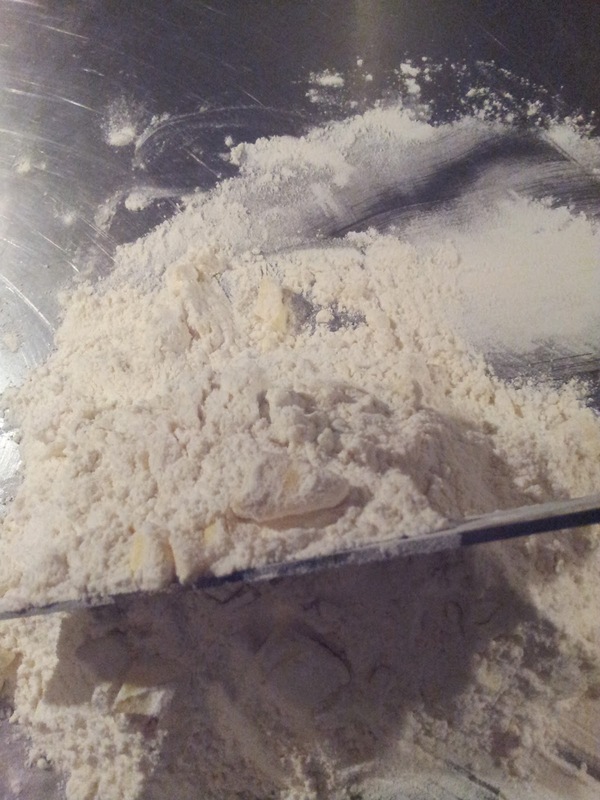 Mould it gently into a flat ball shape with your hands. Probably 80% of the time I use a food processor to mix scone flour and butter, and that's because scones are something you can make really quickly if visitors drop in unexpectedly. However, the"taste panel" here really loved the scones I made the old fashioned way. 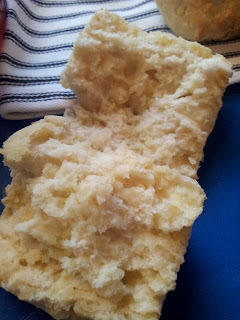 If you have time, I think hand rubbing flour and butter is the way to make the perfect scone. In the 1930's scones would have been a regular part of morning or afternoon tea. 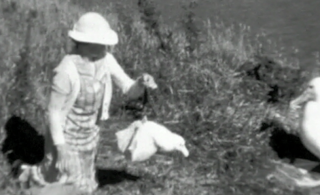 Agnes Richdale, wife of ornithologist Dr Lance Richdale, would have been hard pressed to find the time for scone making. Agnes was his research assistant in the field but also typed up pages and pages of his research notes on the Royal Albatross and Yellow Eyed Penguins on the Otago Peninsula. In the mid 1980's it was a different story. Breeding pairs were decreasing in numbers. This decline was noticed by sheep farmer Howard McGrouther. 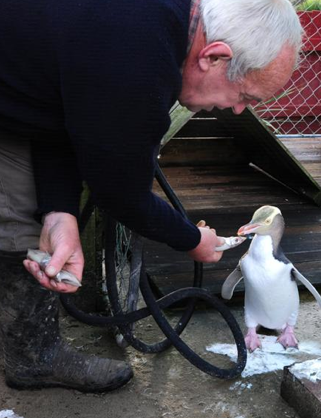 Being a practical farming man Howard decided to give the penguins a helping hand. When you visit Natures Wonders - a fun-filled tour over his farm in an all-terrain vehicle, you can see the great results of his vision and his labour. 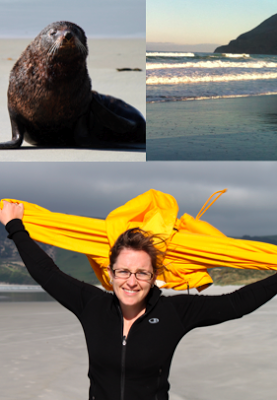 Visiting the seal colony was a highlight for me as the pups are so darn cute. 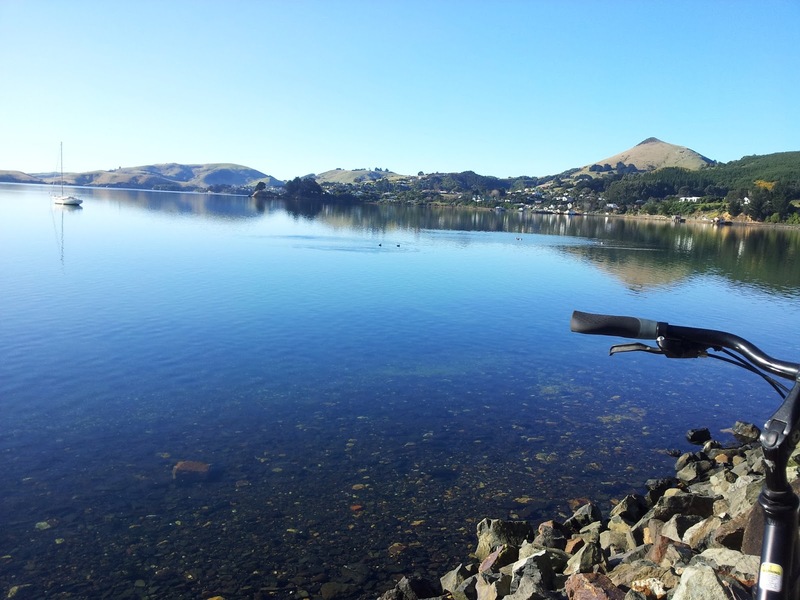 On a clear day there are spectacular views along the coastline and up the harbour to the city. 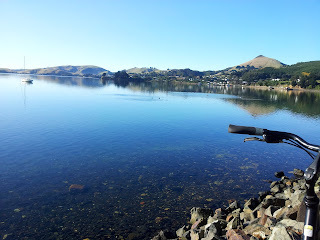 One of my favourite things to do is to walk the length of Allan's Beach to where Hoopers Inlet meets the sea. It's a revitalising thing to do and it's absolutely free. It's the only Peninsula beach where people can take their dogs. There's a good chance you'll meet sealions sleeping on the sand. You can see penguin tracks sometimes but you seldom if ever see them. You just have to remember the rule - don't get between large sealions and the sea. Keep your distance. They do look flabby and slow but they can move deceptively fast. Tui getting nectar from a kowhai flower from "An Extraordinary Land"
This is my favourite photo in Rod and Peter's book and the tui is perhaps my favourite bird. When we first settled on the Peninsula in the early 1980s you would never see a tui. Now I see them quite often in the garden. It's a good sign for this Extraordinary Land.